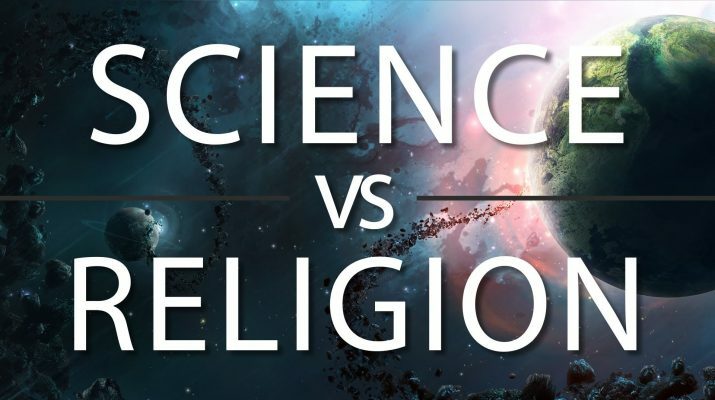 For years, mankind has fought with one another over the concepts of religion and science. Many take one side or the other, claiming their own proofs for their belief. The sad truth of the matter is that neither can fully disprove the other. Science is clearly a reality in that we can observe the laws of science in motion on a daily basis. Without science, none of this universe would make a drop of sense and chaos would ensue. At Adapt Alp, we try our best to make sense of all this. You can’t deny that the only means by which we have to even try to understand religion is through science. Science, itself, doesn’t outright state ‘there is no God’ but it doesn’t say there is one either. The basis of Christianity, as a Religion, is that God lives outside our physical realm in the supernatural one. (Meaning He exists outside of science) However, He created science to make peace in this chaotic universe. So, by stating that God exists, science must also exist. The problem that comes from this is when you try to say that God can enter our realm of science and break the rules. He can perform miracles and do things that science would say to be impossible. If this is, indeed the case, how is it that these miracles are absent today? Sure, there are plenty of people who claim to have seen miracles. However, wouldn’t it be logical to assume that with modern technology these miracles would be more obvious these days? Religions intermingle and contradict each other to the point that trying to compare them gives you a massive headache. Science, on the other hand, is finite. There is only one science. Sure, we get things wrong and we discover new facts about science every day. But that’s the key difference, isn’t it? While we discover new facts about science as our understanding of it improves, religions cannot do so. The basis of religion is that we cannot even begin to study and understand it because of its very nature. Religions focus on a powerful force that exists somewhere else that we can’t see at all. At the end of the day, I won’t claim to have all the answers. Both scientists and religious people are looking for answers. Some find comfort in finding an answer in faith while other in fact. While science is a proven, physical thing, no one can 100% confirm the lack of a supernatural realm until such a time as they die and do or don’t turn up somewhere else. So, I guess I’ll see you on the other side… or not.